Capcom Arcade brings the old-school arcade experience to your iPhone or iPod Touch, right down to letting you buy tokens to play Street Fighter II, the original Ghouls ‘N Ghosts, 1942 and Commando. Capcom doesn't kid around with the word arcade. 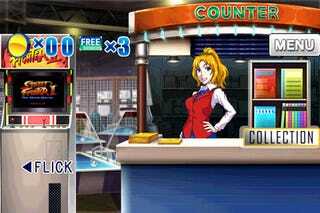 Available today for free in the iTunes App Store, Capcom Arcade maintains the feeling of the arcades of old by letting you pay to play four of Capcom's most beloved arcade classics. You download the app, which gives you access to all four games with three free plays a day. After that you can either buy a pack of ten tokens for $.99, or simply purchase any game outright for $2.99 apiece. Going beyond the arcade experience, each game features an original mode along with a more forgiving iPhone mode, and Capcom plans to supplement each title with premium DLC 'cheats' that enhance your abilities. Capcom plans on adding more arcade titles to the app on a regular basis, so now's your chance to get in on the ground floor.